Blurb:Aside from his outward appearance, Kobi is a normal thirteen-year-old boy. Living with his mother, his father, and his identical twin brother, Raili, with whom he spends most days at the cove watching dolphins and whales feed, he is happy with his life just the way it is. But his fourteenth birthday is coming and Kobi has no idea how much his life is about to change. When Raili is pulled through a puddle in the floor of their second floor bedroom by a monster armed with poisonous, spiked tentacles, Kobi goes in after him. What he finds isn’t Raili, but a new world all together, buried beneath the ocean. With a bounty on his head that has been there since he and Raili’s birth, Kobi will have to learn to fight or die before he can be reunited with Raili again. Everything he knew to be true was a lie. People he loved and trusted are not who they seem. He isn’t the normal boy he thought himself to be. A transformation is coming. Raili is gone. Blood is shed. Traitors lurk, waiting for their chance. War is inevitable. 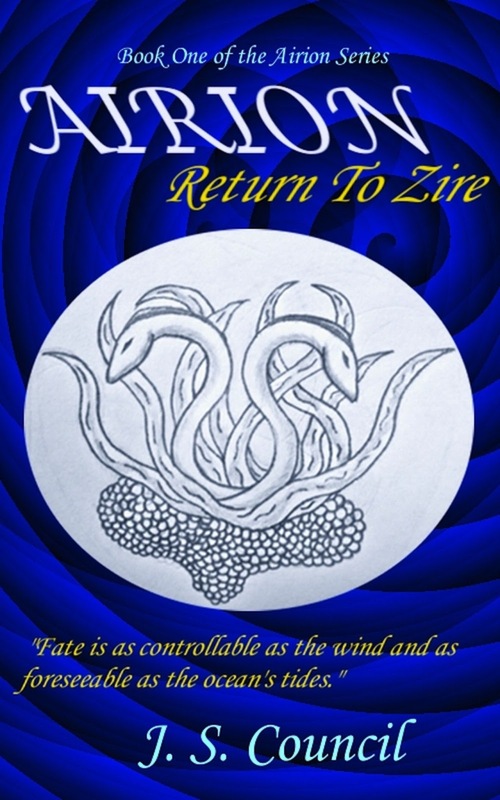 The fate of the world of Airion rests in his hands. The Wiseone speaks. Failure is certain. Raili sat up, grimaced and lay back down. His wounds had been dressed but were still fresh. Could people feel pain after death? Raili didn’t think so. Somehow he was still alive. But alive where? Wincing, he examined his bandages. They were neatly wrapped with white cloth, soiled from within by Raili’s blood. He could smell a sweet scent coming from them, like an ointment. Suddenly, Raili heard footsteps and his heart began to race like he was about to be caught doing something wrong. But when a young girl walked through the door, Raili relaxed again. “Hey, wait!” said Raili as the girl disappeared through the doorway again. He was about to follow her but sat back down from the pain and his lack of clothing. He looked around. His clothes were gone and no other pair took their place. Irritated, Raili sat with his back against the wall, covering only his legs and hips with his blanket, and waited for the girl and her master to return. Soon, Raili heard footsteps again and again his heart raced as he became guarded. The girl had returned and brought another woman with her. The girl was very pretty and around the same age as Raili. She wore a green and yellow blouse coupled with a long yellow skirt that flowed as she walked. The woman, too, was very beautiful and wore a yellow dress that also flowed. Both women wore white cloths around their waists. Their skin was a pale tan color and they had eyes of light grey. Their hair was dark red, or maroon, and was pulled up into tight buns behind their heads. “A Krawth?” said Raili, curiosity getting the better of him. “A horrible monster with spiked tentacles and more rows of sharp teeth than a shark,” said the girl, setting down a tray of fresh bandages and a vial that gave off that familiar, sweet aroma. “Surely you must remember it from your ordeal?” said the woman, setting down another tray of herbs, a small packet with some type of powder inside, and a steaming kettle. Raili remembered. It had grabbed him and dragged him through the puddle. “I thought I was dead,” he said, his voice low. “Ummm, okay. Whoa, wait! What are you doing?” said Raili as the girl tried to lift his blanket. The girl giggled and got to work slowly and carefully removing the old, dirty bandages. Raili’s wounds were deep. He looked away and bit his lip in order to not yell out as she unwound the bandages touching his skin. Thank you for hosting me!! It is a pleasure being featured on your site! It sounds intense, with some very interesting characters. A Bewitching Sizzling Summer Giveaway!